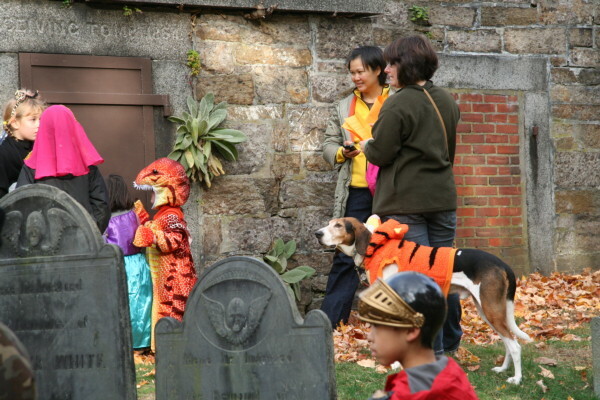 On October 31, 2010, Friends of the Old Burying Ground sponsored the 3rd annual All Hallows scavenger hunt for historic gravesites. 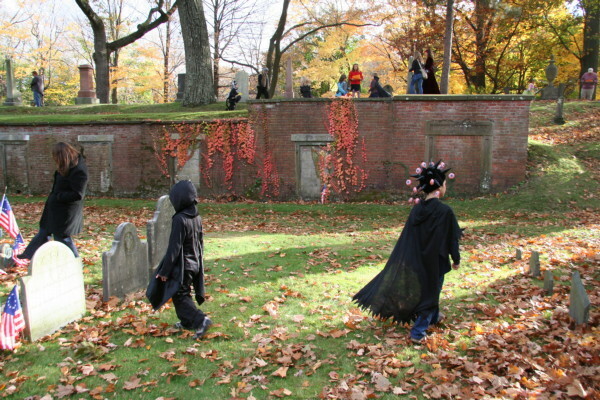 Young visitors were challenged to find the graves of notable people from Brookline's past. Photos by Frances Shedd Fisher.